Home » About » Our Doctors » Scott P. Fischer, M.D. Dr. Fischer is a board certified orthopaedic surgeon with subspecialty fellowship training in sports medicine and arthroscopic surgery. He is one of the managing partners of the Orthopaedic Specialty Institute where his clinical practice is devoted to the treatment of injuries and orthopaedic disorders of the shoulder and knee. Dr. Fischer is a guest lecturer in shoulder and upper extremity surgery at the Wrightington Hospitals in Wigand, England where the original, pioneering work in total joint replacement surgery took place. He has been a Master Instructor for the Arthroscopy Association of North American at their Orthopaedic Learning Center for many years, and has been grand rounds lecturer at the University of California, Irvine Department of Orthopaedic Surgery. Dr. Fischer is a Wisconsin native, where he earned an undergraduate honors degree and was a member of the Phi Beta Kappa national honors society at the University of Wisconsin in Madison. He received his medical education at the University of Wisconsin Medical School where he was also a member of Alpha Omega Alpha national medical honors society. During his surgical internship and orthopaedic surgery residency at the University of Wisconsin Hospitals and Clinics, he received the Theodure Herfurth Award for excellence as an intern. His orthopaedic training was completed with a sports medicine and arthroscopic surgery fellowship at the Southern California Orthopaedic Institute in Los Angeles, California. Dr. Fischer is a frequent instructor on various topics of arthroscopic shoulder and knee surgical techniques and many local, national, and international orthopaedic surgery meetings each year. He is the co-editor of a textbook on the techniques of shoulder and elbow surgery, and has published many articles on the treatment of both knee and shoulder injuries. Dr. Fischer consults with several orthopaedic device manufacturers on the research, design, and development of surgical instruments and implants. He is one of sixteen shoulder surgeons selected in this country to be a clinical investigator in the FDA study of a special total shoulder replacement prosthesis for patients who have both arthritis and severe rotator cuff tears. 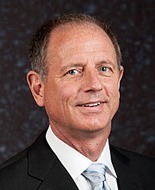 Dr. Fischer is a member of the American Academy of Orthopaedic Surgeons, the Arthroscopy Association of North America, the American Orthopaedic Society for Sports Medicine, the Western Orthopaedic Association, the California Orthopaedic Association, the California Medical Association and the Orange County Medical Association. 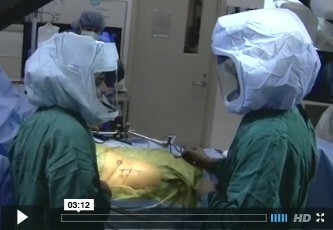 Please visit www.scottfischermd.com to find out more about Dr. Scott P. Fischer.